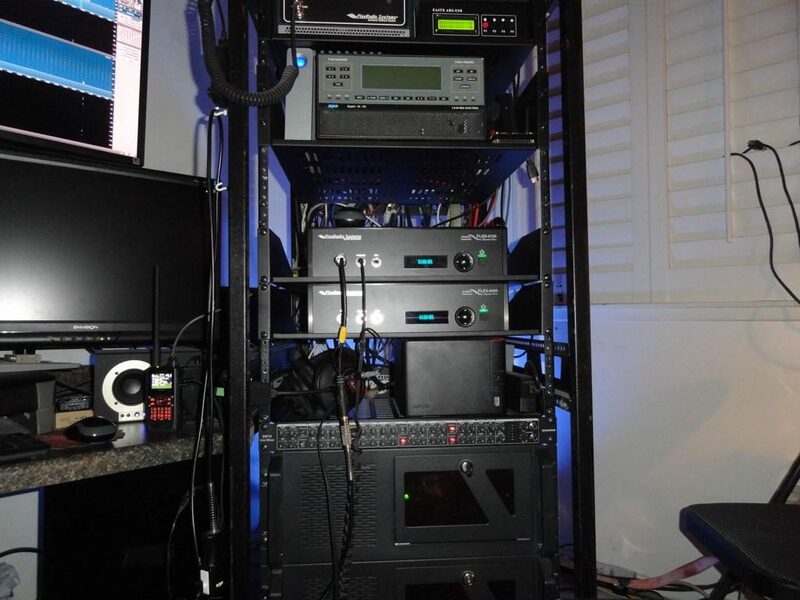 The 6700 radio hardware had shipped, so it was time to make room for the 6700 and the other items that need to be installed in the rack. The FlexRadio 6700 installation began with dust mitigation. Satisfied with the results of the dust removal, I began the hardware installation with plans to be completed before the CQWW DX SSB Contest on October 27. With the PC shuffle “hard work” out of the way, I setup the final mounting shelves. This is the reason you rackmount! Super easy removal and relocation of equipment. The PC on the bottom is the Intel i5 build for the new Ubuntu 18.04 Server. Once I could see Ubuntu installed OK, I buttoned up that machine and moved the top PC down on top of it. On this i7 machine I installed Windows 10 on a 1TB SSD, and left the previous OS (Windows 7 RAID Array) in place so I could mount the drives just in case. Later on, this would prove to be very useful. 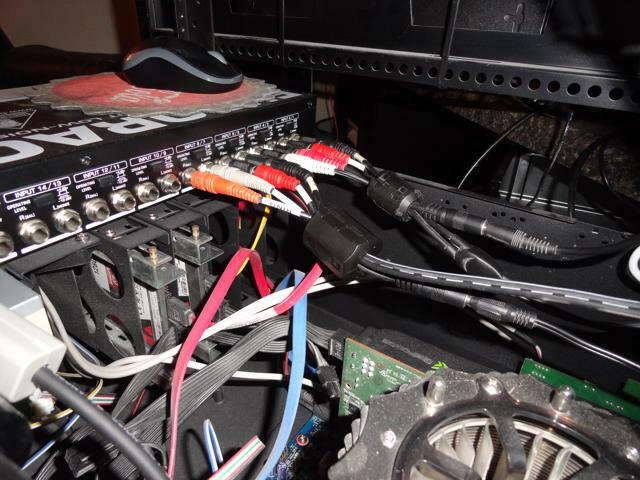 Once both PC’s were running and tested, I mounted and wired the Behringer RX1602 for all the audio: 6700/6300/5000/PC. The Behringer RX1602 Mixer handles all the shack audio with inputs to spare! The RX1602 mixer provides a MON output that I have connected to the 6700 BAL audio input. 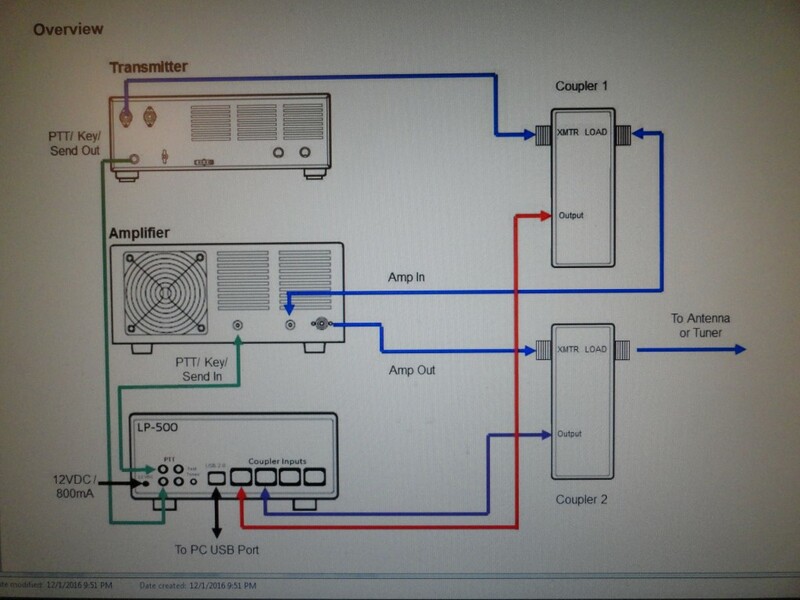 This signal path could be used to feed PC audio to the transceiver for TX. 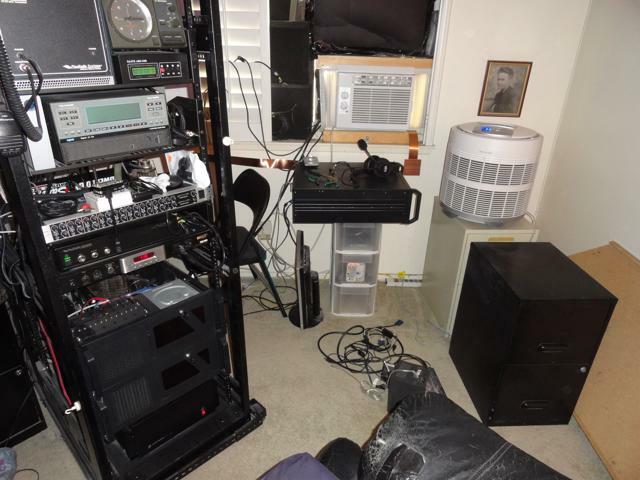 The PRO-2500 Power Strip was moved up top between the AT-AUTO and the packet radio gear. To obtain the last rack space needed (to accommodate the LP-500) I moved the Monster PRO-2500 power distribution strip up top under the packet radio gear. 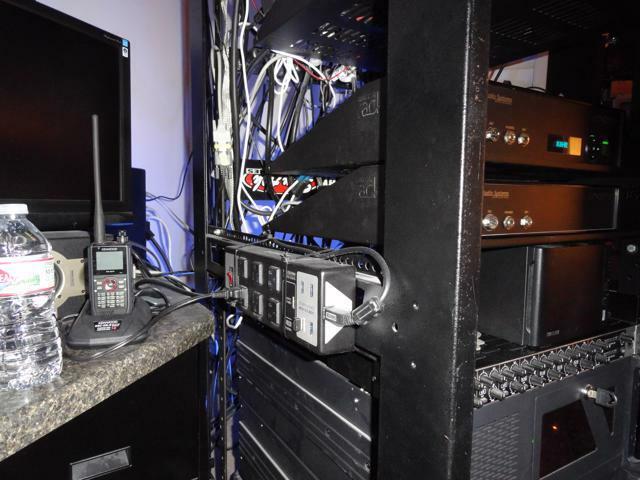 The packet gear is now utilizing the “fan space” in the top of the rack. Just enough room to slip the power strip under it. I now have the 11 spaces I need in the perfect ergonomic rack position! Prime Real Estate: Future home of an LP-500, Flex 6700, Flex 6300 and Buffalo NAS. Lucky for me, I only needed to move a few things around before I was ready to go. As part of the process I tied all the new hardware into the station ground bus, and installed another 30 snap-on ferrites. It made sense to mount the Numark Production Hub to the side of the rack for easy access to USB ports and some extra AC outlets. Plenty of USB ports and AC outlets available at the operating position. 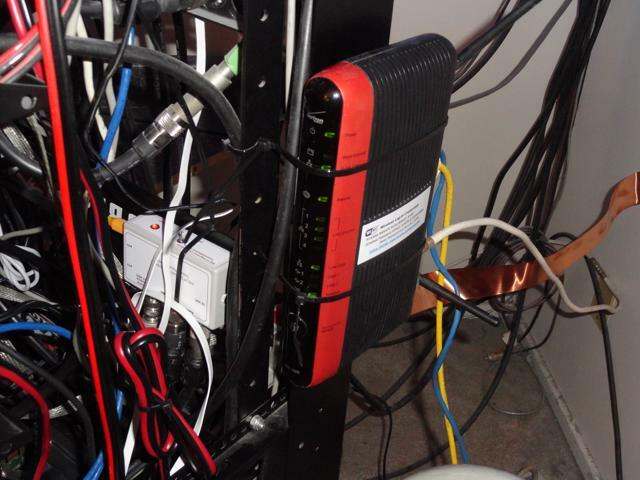 At the same time I decided to tie wrap the router to the other side of the rack in an effort to simplify things. The FlexRadio 6700 has taken it’s place in the K6HR shack! The FlexRadio 6700 installed without a hitch. I’ve taken it through high power testing with no problems found, and everything appears to be working as expected. I have pushed the rack back into the corner about half way and will make any final adjustments before pushing it all the back. 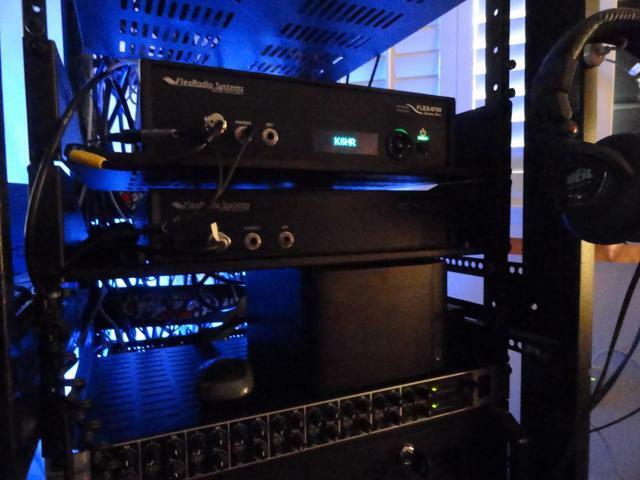 Now completely integrated, the Flex 6700, Expert 1K-FA amplifier, and (both) AT-AUTO tuners are working flawlessly together. I’ve trained the tuners (and the 1K-FA tuner) for each antenna on every band. 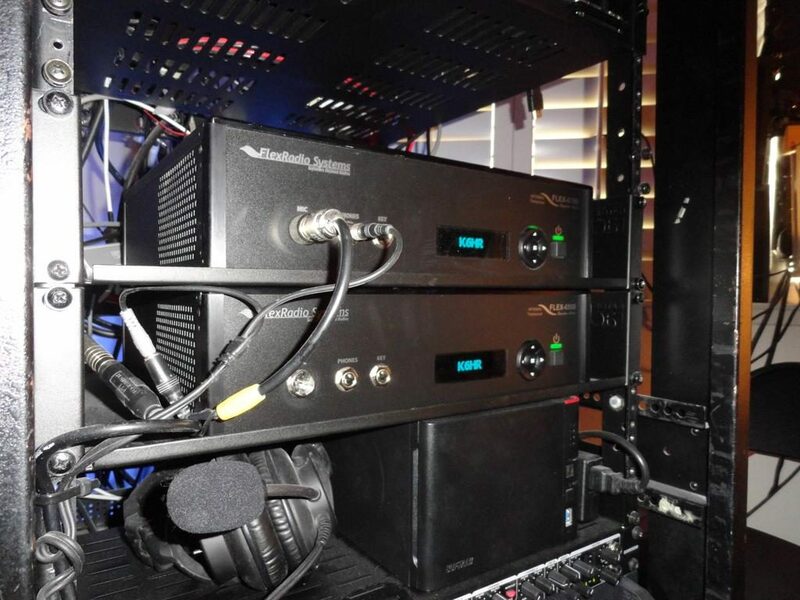 Each FlexRadio SCU now has its own dedicated amplifier, auto-tuner and antenna. I’ve set it up where SCU #1 is connected to the Mosley TA33JR for frequencies 14 mhz and above, and SCU #2 is connected to my ‘height compromised’ 130ft dipole for all bands below 14 mhz. 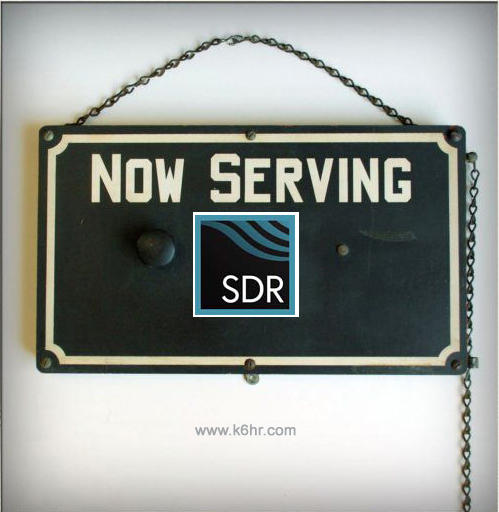 When one radio (SCU) is active on any band, the second radio (SCU) is connected to a W6LVP wideband RX Loop antenna. It’s a fully automated SO2R contest station. It’s now a 1,000 watt radio. Now let’s see if the operator can live up to his capabilities! I’m now #2 on the LP-500 waiting list, so I should have mine next week. It looks like they fulfill about 10 units per week, so I’m pretty confident it will be arriving soon. I joined the waiting list in May 2018. This is one of the nice finishing touches being installed for 2018. Flex Sales and Service Dept. These three units more or less complete the shack. No more improvements for a while. It’s time to get all the shack furniture put back together and get back on the air and get to work! Author K6HRPosted on December 3, 2018 December 6, 2018 Categories What's NewTags flex 6500, flex 6700, telepost lp-500Leave a comment on Flex 6700, 6500, LP-500, Arriving Soon! Flex 6500 and 6700 On the Air! The Flex 6700 is back from repair, and the frequency drift problem has been taken care of. 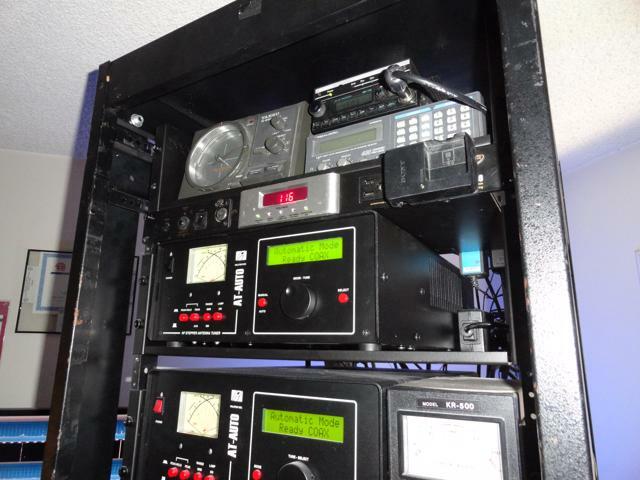 The radio is now stable and able to decode FT8 and other digital signals. There’s no sign of drift on WWV. The Flex 6500/6700 were installed today, and are now in service on the air! The new Flex 6500 will be dedicated to decoding the various HF digital modes. 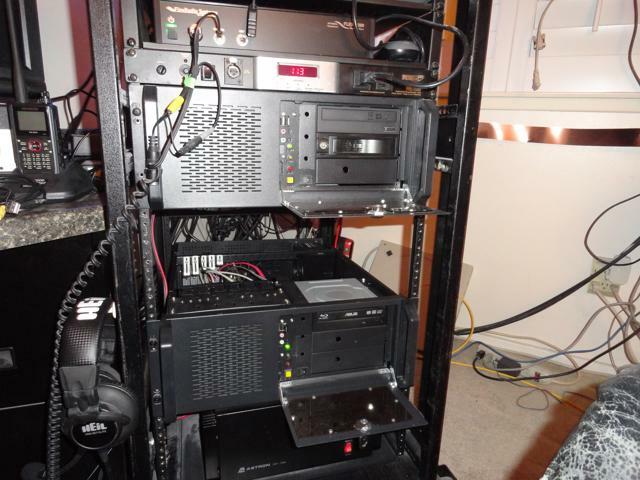 I plan to move the Live SSTV Cam over to the 6500 once I have the Comet CHA-250B installed. The station monitor should arrive this week. 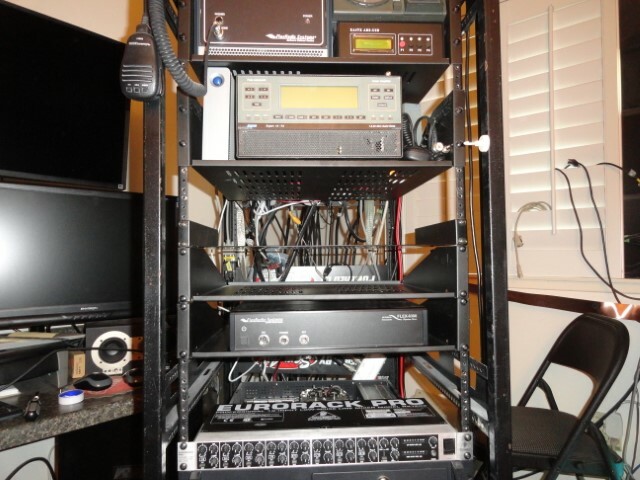 I have just enough rack space left to fit the LP-500 between the 6700 and the SPE 1K-FA amplifier. I will install the LP-500 utilizing 4 couplers to enable viewing of amplifier linearity with a trapezoidal display on both channels of the amplifier. The illustration above shows the configuration for a single amplifier. Since the SPE 1K-FA has two inputs (one for each of the 6700’s SCU’s) I will duplicate this configuration for the second input/channel.